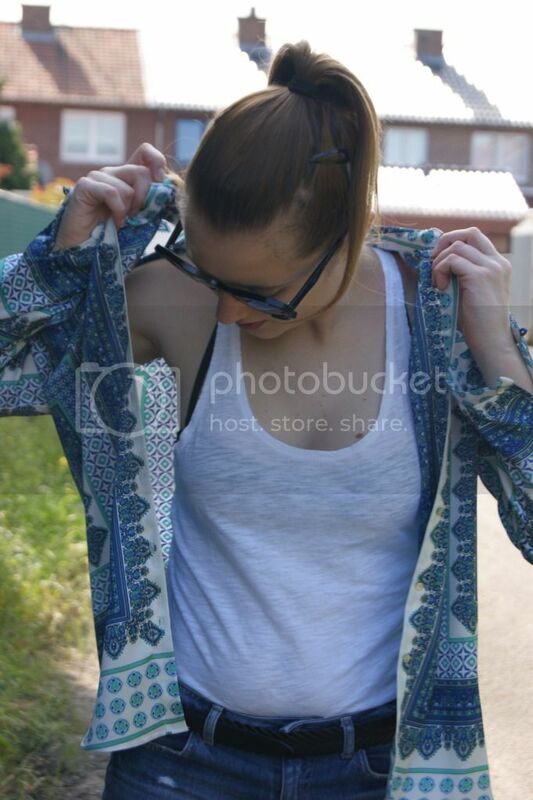 Heel leuke outfit! Ik hou echt van jeans shortjes! good luck with the events :) don't be nervous, just enjoy! Thank you for your really nice comment on my post 'Minty shorts' and girlscene! cute outfit! love the blue tones! Wauw Krizia, dat blauwe hemd is FANTASTISCH! Staat je leuk! En die zonnebril is ook stunning ;) ! Die top is leuk en super gecombineerd. Lekker speels met je All Stars! You look like a cute and super hot school girl. I am glad that I have found out this blog today. Really great blog. Love this blouse!The print is amazing! I am very want to buy Converse.you look so cool.very love you style.This kind of collocation looks leisure. i want to fashion bug write the note on the jeans fashion fashion world and i will become successful on its vintage wedding dresses pulish in the magzines, i hope the people of all aver the world like it very much..